CEO of OP group Reijo Karhinen. File Photo – Lehtikuva. OP Pohjola Financial Group CEO Reijo Karhinen said OP is interested in distribution of pharmaceutical products. 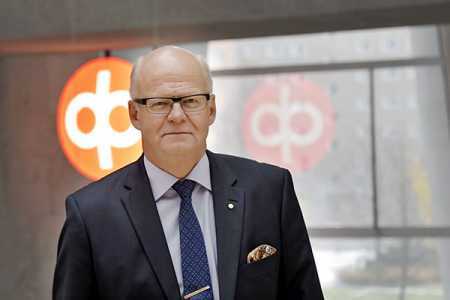 In an interview with the Finnish language business daily Kauppalehti, Karhinen said if pharmacy rights are liberalised, medicines could be available at OP hospitals and medical centres. According to Karhinen, OP hospitals or medical centres may act as distribution centres or otherwise they would offer space to some pharmacies. The OP Financial Group announced in the summer that it was planning to open four new private hospitals and a countrywide network of medical centres. OP expanded to the health and wellbeing market in the beginning of 2013, when it opened Omasairaala, its fully-owned hospital in Helsinki specialised in orthopaedics. The opening of the pharmacy industry to competition has culminated into a lively debate. Minister of Social Affairs and Health Minister Pirkko Mattila said he wants to uphold the current pharmacy system.